The bad news is, yes — you most likely need to file a nonresident tax return in those states. By definition, you earn income where the work is performed, not necessarily where you happen to reside. By the way, did you know that professional football players file a tax return for every state where they play a game? We realize that they may be in a whole different tax bracket, but the rules still apply. The good news is, the U.S. Supreme Court says that two states cannot tax the same income. So, if you have to file in multiple states, you will file based on the percentage of income you earned in that state only. Keep in mind that not all states have the same requirements. Some don’t even require state income tax returns at all (although that’s a very limited number). Plus, income minimum requirements can change, so check with the appropriate Department of Revenue or the Comptroller for the state in which you have done work to see if that income is low enough to avoid having to file. Best practice: Talk to your accountant. 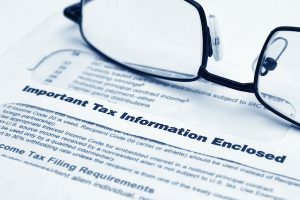 Here’s another interesting article by Tonya Moreno, CPA, with more information on this subject. So if I live in state A, and I worked some, physically, in state B during 2018. State B has no state income tax. Can state A then charge me tax on income I made, physically, in a state with no income tax? That’s a great question, Rachel. Your best bet would be to ask an accountant, to get an official answer. If you do, please reply here so we can all learn something new!